Note: The camera and lens are NOT included. 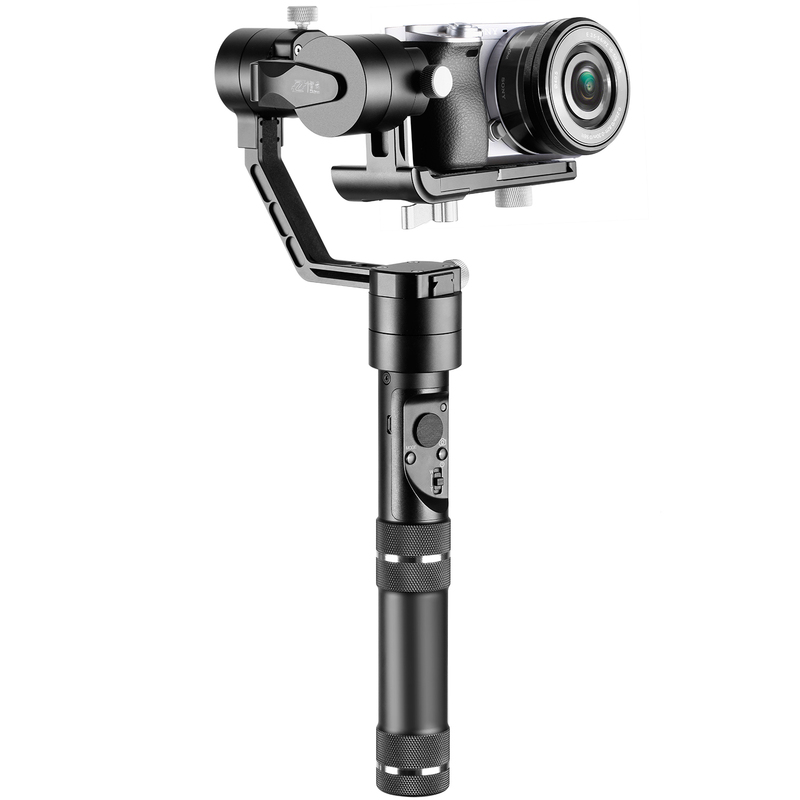 The 3-Axis Handheld Gimbal Stabilizer is specialized for Mirrorless Cameras up to 650 grams, GoPro Cameras, and Smartphones like iPhone 7 7 plus Samsung S6. 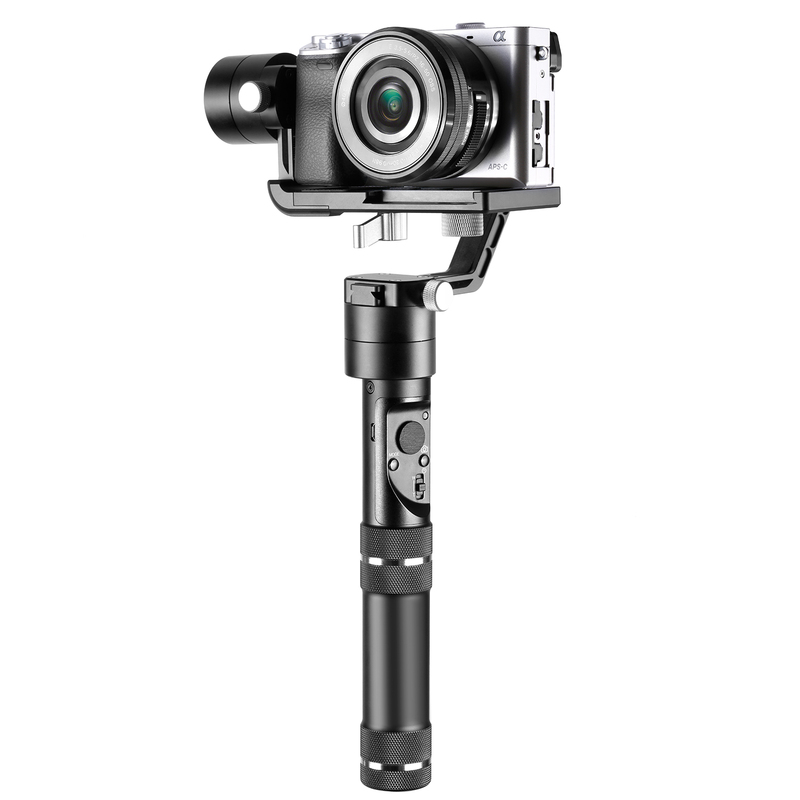 It has built-in compact slip rings which enable the gimbal to have all 3 axes 360 degrees unlimited rotation. It offers continuous rotation along the pan axis, and manual, non-stop circular rotation along the tilt and roll axes. 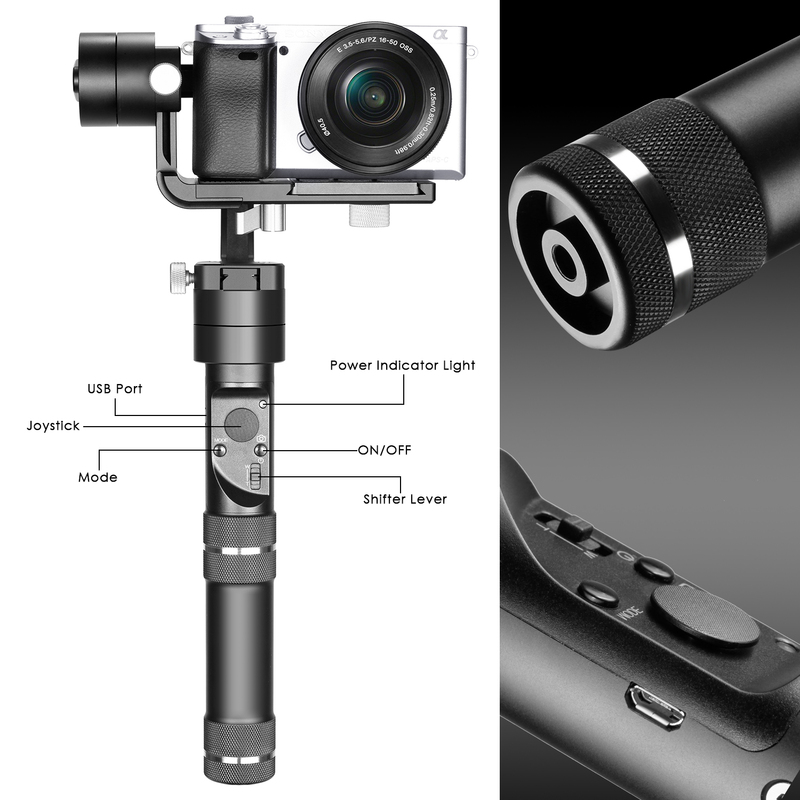 The crane features simple, quick and smart operation: Cameras attach by securing a simple thumbscrew without any tools, and full setup can be achieved within a minute. 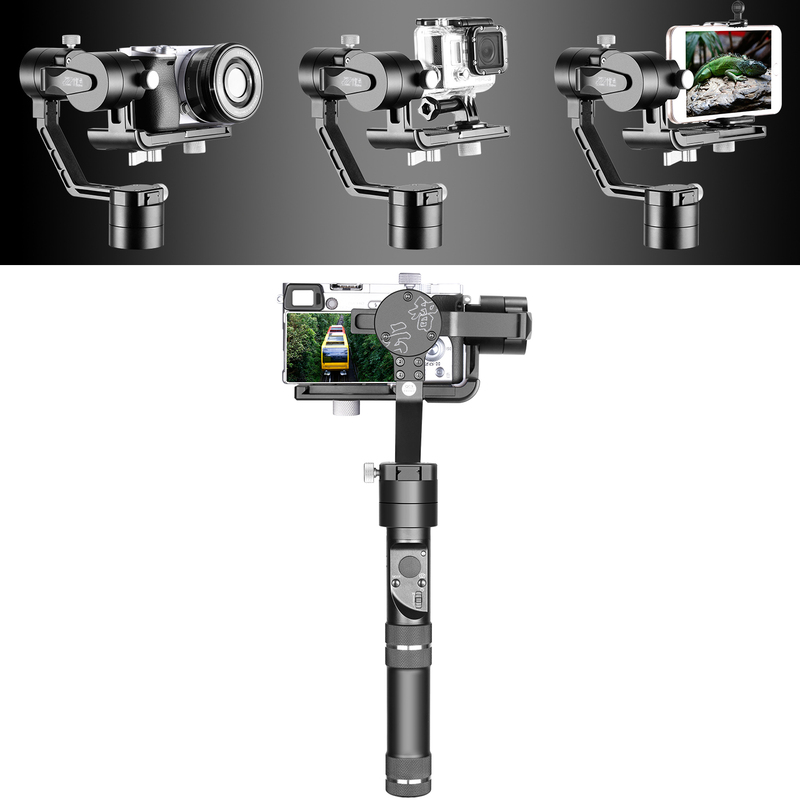 Press gimbal buttons and push the shift lever to remotely operate camera and change among Locking, Pan following, Pan and tilt following modes. Two 26500 Li-ion Batteries were offered, which provide 12 hours to 18 hours operating time. 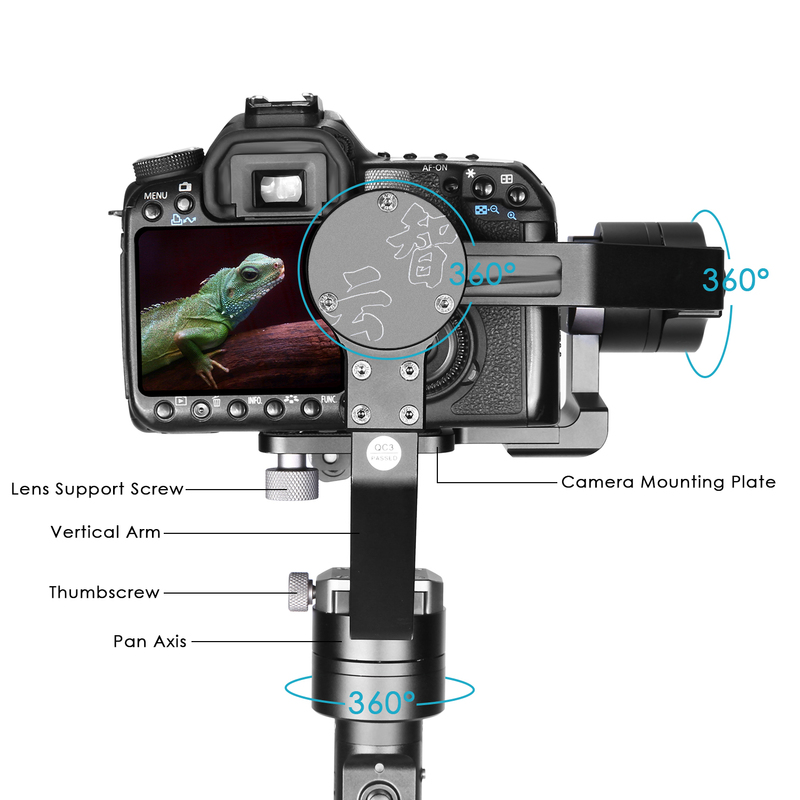 With CCI, the camera's shutter and focus can be controlled by the buttons on gimbal's handle. The Crane can also be controlled wirelessly from an iOS/Android APP via a built-in Bluetooth connection to your phone. And it also offers a built-in wireless control module which can be connected with a remote control (sold separately).